On February 25th, the Indiana Section PGA recognized its 2019 Special Award winners at the PGA Spring Business Meeting presented by Callaway. Tony Pancake, of Crooked Stick Golf Club, was awarded the highest honor and named Golf Professional of the Year. The PGA Golf Professional of the Year Award bestows special recognition on a PGA Golf Professional who has performed outstanding services as an overall PGA Professional. Winners must possess outstanding qualities of leadership, strong moral character and a substantial record of service to the Section and the game of golf. Tony Pancake has served more than 30 years on the Indiana Section PGA and/or national levels in various capacities. Tony was a Board Member in the Kentucky Section from 1992 to 1997, including 4 years as an officer. He has served on the Indiana PGA Board since 2010 and as an officer for the last seven years. In 2018 Tony served on the PGA’s National Board representing District 6. Additionally, Tony has served as a Delegate at the PGA Annual meeting over 10 times and has attended the PGA Merchandise Show for over 30 consecutive years, serving on their Advisory Committee from 2013 - 2017. Tony has also been a member of the Indiana Golf Foundation/First Tee of Indiana Board since 2010, including serving for the last three years as President. He has served on the IGA-PGA Board since 2010 and as President in 2017 and 2018. Tony is currently the Head Professional and Director of Golf at Crooked Stick Golf Club, and previously held positions at Baltimore Country Club and Valhalla Golf Club. Tony is focused on leading his team each day to provide a memorable experience for members and guests, with a high-quality golf experience in a welcoming atmosphere. Tony has personally invested in the lives of his staff with over 40 former assistants and interns becoming Head Golf Professionals and/or obtaining other successful careers. Additionally, he mentors countless other professionals with career advice, balancing the challenges of having a career in the golf profession, and sharing his experience to help them succeed. On a daily basis, Tony is also determined to impact the lives of others through the game of golf. He has helped grow the game through various initiatives including: supporting women’s golf, junior golf, senior golf and military golf through instruction programs and tournament programs. From a Junior golf standpoint, he helped start the Kentucky PGA Junior Golf Tour in the early 90’s and continues to promote the Indiana Junior programs through his role with the First Tee of Indiana and as the Indiana Golf Foundation President. Additionally he has taught clinics for underprivileged kids at the Shepherd Community Center and through the Special Olympics program through the PGA. Since 2008 at Crooked Stick, he has organized a Junior Development Program for five area kids who need some additional support to reach their potential. The Club also hosts annual collegiate events and high school events. From an instruction standpoint, Tony is recognized as one of Golf Digest’s top 10 Teachers in Indiana. His students include members of the club along with accomplished junior and collegiate players. Tony has served as the Host Professional for the 1996 PGA Championship, 2005 Solheim Cup, 2007 US Women’s Amateur, 2009 US Senior Open, 2012 BMW Championship and 2016 BMW Championship. Tony also still loves to play the game and compete in Section events. During his career, he has qualified for four Section Challenge Cup teams, was a quarterfinalist in the Section Match Play Championship, qualified for a PGA Club Professional Championship and was the winner of the 2015 Indiana Senior Open Championship. Through his career, Tony has been recognized with the following Section Awards: PGA Junior Golf Leader 1992 Kentucky PGA Section, PGA Golf Professional of Year 1992 Kentucky PGA Section, PGA Junior Golf Leader 1993 Kentucky PGA Section, PGA Merchandiser of Year 1993 Kentucky PGA Section, PGA Horton Smith Award 1994 Kentucky PGA Section, PGA Horton Smith Award 1997 Kentucky PGA Section, PGA Bill Strausbaugh Award 2008 Indiana PGA Section, PGA Golf Professional of Year 2009 Indiana PGA Section. The 2019 Teacher of the Year was also recognized at the Spring Business Meeting. This award is presented to a PGA golf professional that has performed outstanding service as a golf instructor. Criteria to be considered are: overall performance as a golf professional at his/her facility, service to his/her Section and the Association, leadership ability, image and the ability of inspire fellow professionals and involvement in youth and adult game development programs. The 2019 Teacher of the year is Ryan Schrecongost of Golftec. In 2018 Ryan gave more than 2,200 golf lessons, which ranks not only among the top in Indiana, but in the Top-20 of all PGA instructors at GOLFTEC worldwide. Quantity isn’t always everything, but it speaks volumes regarding how high in demand as a PGA instructor Ryan has become. He has helped hundreds of players shoot their career rounds, obtain athletic scholarships and compete at the professional level. Throughout his career, Ryan has given over 25,000 golf lessons, with 10,000 of those lessons performed on the patent owned GOLFTEC system. Using GT Motion Measurement allows Ryan to see over 75 different positions of the student’s body in every swing taken – hip and shoulder turns, tilts and bends, sway (in/out, up/down, side to side) etc. Ryan was also a 2006 PGA President’s Council recipient for “Growing the Game” and has served on the Indiana PGA Education Committee. Ryan spent three years at Pinehurst as the Head Counselor of the Pinehurst Junior Golf Advantage School under Top 100 instructor, Eric Alpenfels. Additionally, Ryan was a co-founder of the Pebble Brook Junior Golf School in 1998, PGA Director of Instruction at Keowee Key GCC, PGA Director of Instruction at Falcon’s Lair GC, and PGA Head Professional at Golf Club of Indiana. The "Deacon Palmer Award" bestows special recognition on a PGA Golf Professional who personally displays outstanding integrity, character and leadership, in the effort to overcome a major obstacle in their life. This individual is an unsung hero/heroine at their facility and in their community, who serve to inspire, empower and assist others, both inside and outside of the game. This award was first given in 2014 to Arnold Palmer in honor of his father, who the Award is named after. This is the first time that the Indiana Section has recognized a winner of this award. The 2019 Deacon Palmer recipient is Doug Kuntz, formerly of the Richmond Elks. After serving 30 years as the Head Golf Professional, Doug was diagnosed with Parkinson’s disease in 2009. Instead of getting down about his diagnoses, Doug used this as an opportunity to inspire others to live their best lives and to love what they do so much that work doesn’t “feel like work”. Since Doug’s diagnoses, he has created the Pro Players Fore Parkinson’s tournament, an annual fundraising event, that has raised close to half a million dollars for Parkinson’s research and Rock Steady Boxing. The Bill Strausbaugh Award bestows special recognition on a PGA Golf Professional who personally displays outstanding integrity, character and leadership through a commitment to mentoring and making significant impacts on the careers of fellow PGA Professionals. The 2019 Bill Strausbaugh Award recipient is Tim Frazier of Sycamore Hills GC. In his 22 years as a head professional, Tim has had a tremendous impact on the lives of many PGA Members and Associates. 18 of his 22 former Assistants have gone on to achieve PGA Membership. In addition, he is a past Section President, has served on three PGA of America national committees and was the 2016 Indiana Section PGA Golf Professional of the Year. Tim has also served in his community as a 2011 IHSAA Boys State Golf Championship Rules Official, a 2011 Pacers Game Golf Instructor, a 2012 instructor at Indiana Golf Awareness Day at the Indianapolis State House, a 2014 and 2016 Indiana Golf Charities Day Participant, a 2016 St. Charles Elementary School PE Golf Program SNAG Golf Instructor, and a 2016, 2017 and 2018 Drive, Chip and Putt Volunteer. Additionally, Tim is a 2004 Indiana PGA Merchandiser of the Year, 2005 Indiana PGA Teacher of the Year, and the 2016 Indiana PGA Golf Professional of the Year. The Horton Smith Award is designed to recognize PGA professionals for their outstanding contributions to developing and improving educational opportunities for PGA members and associate. The guidelines for this award focus on contributions to educational programs and seminars both locally and for the Indiana Section. The 2019 Horton Smith Award recipient is Cat Benson of Trine University. Cat is the Director of Golf at Trine University and has taken a special interest in educating future PGA Members on a daily basis. She has taken the time to speak with multiple PGA Career Consultants about how to recruit more youth and high school students to consider a career in the golf industry. With the current shortage of qualified and interested associates and interns, continuing to focus on this initiative will be an important practice moving forward. Cat has also been instrumental in forming the annual Indiana PGA Career Night – an idea that stemmed from an event that she created for “Tee It Up Trine” and golf management students at Trine University. This event is now being hosted by the Indiana PGA and recruiting potential PGA Associates and golf enthusiasts from around the state. A few different PGA Career Consultants have been involved with this event and are proposing this model to other sections. Additionally, Cat started a Facebook page for Indiana Apprentices (now Associates) to facilitate communication and camaraderie between Associates, which has proven effective. The Youth Player Development Award is designed to recognize a PGA Professional who is a leader in junior golf, reflects the qualities and ideals of those who work with our nation’s youth, and provides opportunities and experiences for junior golfers to learn and play golf. The following criteria are used in the selection of the Youth Player Development Award winner: contributions to junior golf programs and events in the Indiana Section, involvement in the promotion and development of junior golf at his/her facility and also within the community and an overall integrity as an individual and acceptance by junior golfers as a person of outstanding character. The 2019 Youth Player Development Award recipient is Ali Beam of the Indiana Golf Office. At the Indiana Golf Office, Ali works as The First Tee of Indiana Regional Director – North. 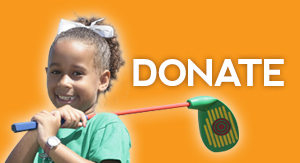 The First Tee of Indiana is currently in over 270 schools and the number is growing. In 2018, the NSP and Outreach program reached over 98,000 children in the state of Indiana. This number will increase in 2019, as more schools will be added. From 2017 to 2018 the number of students that were impacted by the NSP and outreach program increased by 20,000. Ali is also involved with the Sports Experience at the Children’s Museum. While spending time at the Children’s Museum, Ali has helped over 12,000 children with putting stroke and technique. On the National level, Ali is a recognized First Tee Coach and working on becoming a Recognized Program Director. Additionally, Ali has given over 3,000 lessons, with 80% being juniors. At Riverside Golf Academy, Ali offers classes for juniors ages of 4-18. This is also Ali’s second year coaching a PGA Junior League team. Ali also serves as the girl’s golf coach at Bishop Chatard High School and the assistant coach for the Chatard boy’s team. The Player Development Award is designed to recognize a PGA Professional for extraordinary and exemplary contributions and achievements in the area of player development. This award considers the PGA Professionals impact on his/her facility and the game as a whole. The following guidelines are used in selecting the award recipient; quality, quantity and diversity of player development programs, increase in rounds/revenues and player retention and use of Section and national player development initiatives. The 2019 Player Development Award Recipient is Scott Barla of Sahm Golf Course and the Barla Golf Academy. Scott is the Director of Golf at Sahm Golf Course and the owner/instructor at Barla Golf Academy. Scott has focused his days on player development, implementing programs such as Get Golf Ready-Women Only, Parent-Child Lessons, PGA Jr. Sports Academy Summer Camps etc. Scott has also led several clinics including: Sahm Ladies League Golf clinics, LPGA Women’s Amateur clinic and Meetup.com clinics with growing participation numbers. Additionally, Scott volunteers with the PGA HOPE program and serves as the assistant coach for the Cathedral High School boy’s team. The Indiana PGA Assistant of the Year Award was established in 2001 and is designed to recognize an individual assistant golf professional for his/her dedication to the game and commitment to the profession. Criteria that are considered are: commitment to customer service and leadership ability. Over the last several years we have seen the number of Assistants in the PGA decline, but the level of responsibility have increased – and that is the case with our 2019 winner. He has a leadership role in club tournaments, PGA Jr. League, the Women’s leagues at his club and member communications. The 2019 Assistant of the Year is Ryan Maier of The Bridgewater Club. Ryan’s philosophy as a golf professional comes from the experience of those around him. Whether it is staff, members, vendor reps, or other professionals, Ryan believes in the importance of treating everyone with great respect and in a professional manner. Ryan took over the Women’s League at Bridgewater and made it his personal goal to provide the best experience possible. This included special events, giving clinics, and playing rounds of golf with the ladies. Through his involvement with the Women’s League, he also helped start a First Tee Women’s Initiative event at Bridgewater, which raised $15,000 in support of First Tee programming. Ryan is also a PGA Junior League Coach. What started as a 12-player team, quickly grew to 21 participants and Bridgewater was able to field two teams. Ryan has also focused his efforts to incorporate better communication practices at Bridgewater. He feels it is important to communicate frequently and let members know about course availability, rules, closures, upcoming events etc. and worked hard to make sure these details were communicated effectively. Along with communication, he also increased marketing and promotions and golf shop sales increased by fifteen percent. The Merchandiser of the Year Awards recognize those PGA Professionals who have demonstrated superior skills as merchandisers in the promotion of golf. These awards are given annually for excellence in golf shop operations in three categories, public, private and resort. Criteria that are used in the selection of these award winners include: merchandising ability and techniques, overall shop appearance and total sales and sales per round figures. In the Public category, Eric Mikels of Winchester Golf Club was named the 2019 Merchandiser of the Year. Mikels focuses a significant amount of time on his merchandising efforts, and that has paid dividends to him. His shop sales continue to increase, and he credits a lot of that success to his detailed knowledge of his customers and their buying patterns. In the Private category, Keith Clark was named the 2019 Merchandiser of the Year. Clark has helped Hillcrest Golf and Country Club in Indianapolis see a dramatic sales increase since taking over as Head Golf Professional. Clark says that nearly everything he does in his role as the head golf professional has an impact on merchandise sales. Every member, every guest, every time is his approach for all of his operations. In the Resort category, Ryan Steele of Swan Lake Resort was named the 2019 Merchandiser of the Year. Steele believes that the merchandising operation should enhance the overall experience of the guest experience and he seeks to combine the old and the new as often as possible. Steele also changes his displays every two weeks to give the shop a new look and feel.